Each year around this time, I starting thinking about gifts for teachers. If I was smarter, I would have started thinking about gifts for teachers about a month ago! Kate's piano teacher has always loved the handmade cards we give her, so this year I'm going to make her a set of these in different colours. Can you see the piano keyboard? Very simple card using Neat & Tangled's Across the Page set, stamped in Versafine Onyx and embossed in clear. Clever way to use Danielle's set, and perfect for the piano teacher! Omg this is such a great idea! Totally going to riff on this! Ardyth, thank-you for this awesome idea! I'm so disorganised. My daughter's piano exam is Monday, and I haven't organised gift or card for her teacher. The end of the year has jumped out of nowhere! I love this card, it's perfect for a piano teacher! ...yes, so totally fantastically 'Ardyth'!!! Great idea to make a set of these in different colors. I'm sure the teacher will appreciate having these cards handy when she needs to say thank you. BTW, how are the Christmas card orders progressing? Just pinned this! What a brilliant design, Ardyth! Too bad that my kids are not taking piano lessons....(sigh). 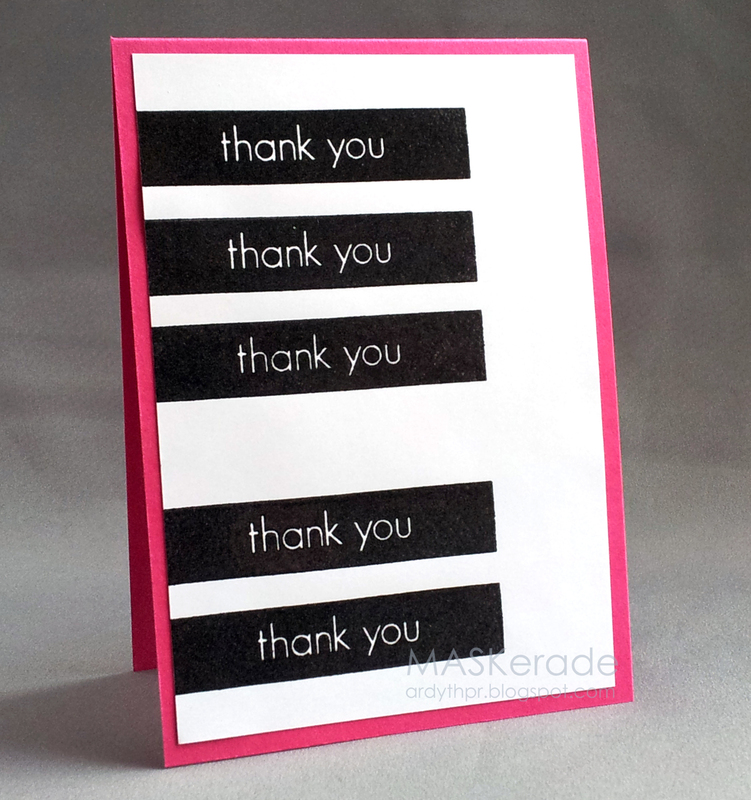 However, this sure makes an awesome design for thank-you cards! Brilliant! That's going to make an awesome set! Another set! You are so productive!! Of all your piano cards, this may be my fave (although if you showed them all to me at once, I'd probably have to deliberate). Simple, and so effective.